"New trade deals that extend patent rights and promote abuses of the patent system ultimately have major public-health consequences. There is a life attached to every calculation of supply and demand for medicines: for every vaccine not given, and every anti-retroviral that is too expensive, a real patient pays a human price." Negotiations around the Trans-Pacific Partnership (TPP) trade deal are taking place this week in Hawaii. Doctors Without Borders/Médecins Sans Frontières (MSF) is deeply concerned that without transparency or public consultation, the TPP will create damaging trade-agreement precedents that will further restrict access to life-saving medicines for millions of people. By Dr. Heather Culbert, President of MSF Canada. This piece was originally published in the Globe and Mail. In 2004, I travelled to Democratic Republic of Congo (DRC) with the medical humanitarian organization Doctors Without Borders as part of an exciting new program: We would be treating HIV-positive patients with life-saving anti-retroviral medication. 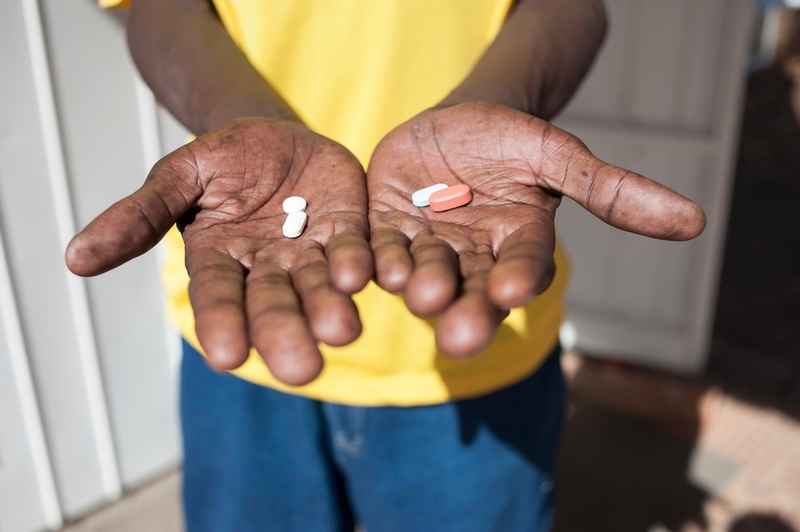 Affordable AIDS treatments had only recently become available, thanks to the hard work of a group of HIV patients and activists who had helped negotiate access to generic medicines for low-income countries like DRC. These generics were low-cost versions of otherwise high-priced branded medicines; efforts by pharmaceutical companies to protect their patents had made them previously inaccessible to many of the world’s poorest people. Before my eyes, I saw my patients transformed: people who had been facing certain death now had a chance to live, to care for their families, and to thrive. Today, there are over 12 million people in developing countries using HIV treatments, most of them dependent on affordable, generic versions of the medications they need. Sadly, more than 10 years since I helped treat those patients, the right to manufacture and distribute generic anti-retroviral medications seems to have been an isolated victory. The pharmaceutical industry has been working hard to ensure that generic versions of other life-saving medicines remain unavailable — subject to the full restrictions of international patent protection and therefore far less affordable. The list of inaccessible medicines resulting from these restrictions includes newer anti-retroviral drugs, vaccines, and treatments for tuberculosis and Hepatitis C.
Since 2010, the Canadian government has been in negotiations with the United States and 10 other Pacific Rim countries to finalize the Trans-Pacific Partnership (TPP) agreement, a massive trade deal with potentially far-reaching implications. Although the contents of the agreement have not been made public, leaked documents suggest that the deal will significantly increase the scope and duration of patent and other monopoly protections for medicines. These changes go well beyond the minimum requirements set by the World Trade Organization and create a new high-water mark for intellectual property rights — and another barrier to accessing affordable medicines for the world’s poor. Do the intellectual property protections of patent-holders take precedence over the public-health needs of societies? As a physician, I am firmly rooted on the side of the patient. Canadian and U.S. governments have also shown themselves willing to overrule patent-holder rights when faced with serious public health threats, such as the anthrax scare in 2002 or the “swine flu” pandemic in 2009-10. During the latter case, our government was clear that protecting the health of Canadians was its primary responsibility. In the developing countries where Doctors Without Borders does most of its work, the public health needs are often huge. Even some of the countries participating in the TPP negotiations, such as Peru and Vietnam, are places where many people still cannot afford the medicines they need. Under the TPP, not only will pharmaceutical patents be expanded and extended, but international trade disputes will be addressed by third-party tribunals that lack either transparency or an appeals mechanism. Many governments will feel they have no choice but to comply, even though most of their citizens will have no hope of accessing potentially life-saving medications. But it is not just people in low-income countries who will be affected by the TPP. Canadians will also face extended patent provisions and increased costs for medications. Pharmaceutical companies will not hesitate to protect their commercial interests, as has already been demonstrated by a $500 million lawsuit by Eli-Lilly against the Canadian government (and taxpayers) for the rejection of two drug patents and for allowing competitors to enter the market. The TPP will put even more of this kind of leverage in the hands of pharmaceutical companies against the rights of governments. The time to address these issues is right now. On June 23, the United States Congress voted to authorize the US government to fast-track the TPP negotiations. Trade ministers from all countries are now preparing for meetings on July 23 in Hawaii, and a final deal may be signed before the end of the year. A number of organizations, including Doctors Without Borders, are deeply concerned that without transparency or public consultation, the TPP will create damaging trade-agreement precedents that will further restrict access to life-saving medicines for millions of people. Fortunately there are indications that some governments, including Canada’s, have reservations about the provisions on medical patents proposed by the United States, and may be willing to push back. It is crucial that they hear from Canadians who are also concerned about the impact of the TPP. Access to medicines cannot be reduced to simple economics. New trade deals that extend patent rights and promote abuses of the patent system ultimately have major public-health consequences. There is a life attached to every calculation of supply and demand for medicines: for every vaccine not given, and every anti-retroviral that is too expensive, a real patient pays a human price. Many of the world’s poor already lack access to life-saving medications; we cannot increase the barriers yet again. Dr. Heather Culbert is the president of MSF Canada.